Do your managers know your corporate crisis communications plan? Wait, what? What crisis communications plan? How proactive are you in crisis communications planning? I’ve found that most companies think “it” will never happen to them and live with the risks until it’s too late. A good role model in planning for the inevitable is the large global corporation we served. In this case, the board and CEO knew that because the company’s manufacturing processes had the potential for major environmental and property damage should systems malfunction, it became imperative that front-line managers prepare to communicate with stakeholder groups should the worst happen. Clearview Communications/The Message Masters earned high marks on evaluations from 54 executives at nine manufacturing facilities of one of the world’s largest corporations who participated in near-marathon crisis communications workshops. However, the real honors are due the company’s board of directors and CEO, who identified the need for proactive planning to prepare its manufacturing division executives to respond appropriately and confidently in a business crisis situation. The board and CEO’s foresight will pay major dividends when that crisis strikes. The day-long training at each manufacturing facility was intentionally rigorous, realistic and demanding. Based on their engagement and performance, I fully believe the men and women who experienced the workshops will be able to effectively plan for and then manage media relations, community relations and internal and external communications in a crisis. That expertise applied in a crisis can minimize and even eliminate the negative effects on the brand, its people, stakeholders, operations and revenues. I flew on 22 aircraft ranging from twin-prop to jumbo jet in six weeks to provide the confidential crisis planning and communications workshops at the company’s international sites, many of them remote. While we normally have media relations workshop sizes in the range of 6-8 participants a day, completing a project to media train more than 50 in just under six weeks was a milestone for us, and, I’ll admit, just a bit grueling. Because we intentionally designed the workshops to be serious, challenging and actually stressful, I was anxious before reading the course evaluations. It was gratifying to read comments such as the ones below, however, because I knew the participants appreciated the value of the demanding syllabus. “Superb,” commented the firm’s chief legal counsel and corporate secretary, an international attorney. Don’t let a corporate or divisional crisis catch you off guard. 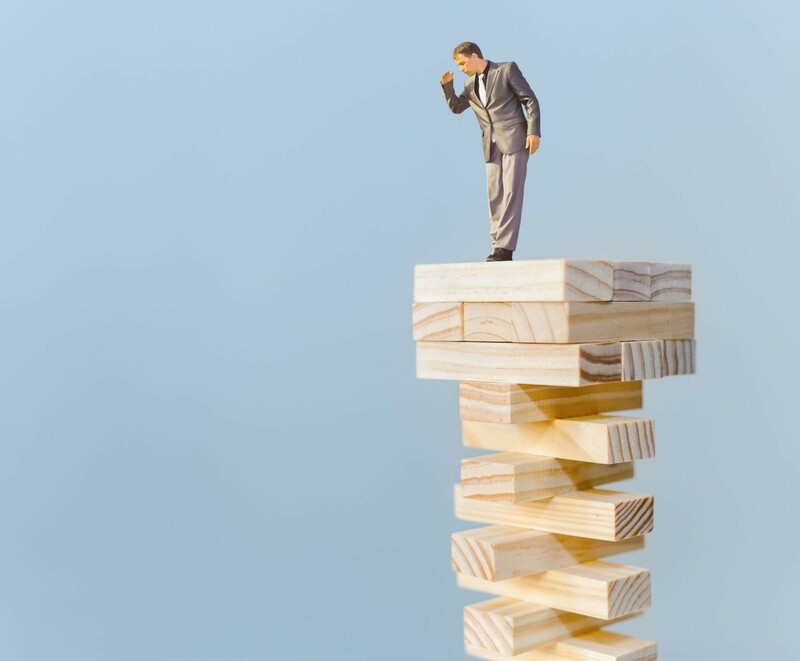 Ask yourself and your leadership team these seven questions to see how vulnerable your company is to a real and costly crisis. 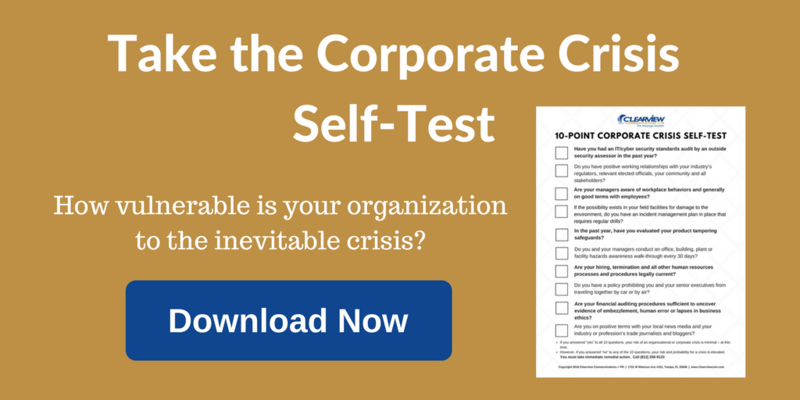 Crisis self-test: How close are you to a PR Crisis that could cost you millions? Have you had an IT/cyber security standards audit by an outside security assessor in the past year? Do you have positive working relationships with your industry’s regulators, relevant elected officials, your community and all stakeholders? Are your managers aware of workplace behaviors and generally on good terms with employees? If the possibility exists in your field facilities for damage to the environment, do you have an incident management plan in place that requires regular drills? In the past year, have you evaluated your product tampering safeguards? Do you and your managers conduct an office, building, plant or facility hazards awareness walk-through every 30 days? Are your hiring, termination and all other human resources processes and procedures legally current? Do you have a policy prohibiting you and your senior executives from traveling together by car or by air? Are your financial auditing procedures sufficient to uncover evidence of embezzlement, human error or lapses in business ethics? Are you on positive terms with your local news media and your industry or profession’s trade journalists and bloggers? If you answered “yes” to all 10 questions, your risk of an organizational or corporate crisis is minimal – at this time. However, if you answered “no” to any of the 10 questions, your risk and probability for a crisis is elevated. You must take immediate remedial action. Be prudent. Let’s talk CEO to CEO about what can be done before, during and after a crisis situation. Call me on my mobile number is 404-822-3309.